RA Medications: What is the Best Medication for Rheumatoid Arthritis? Advancements in medical technology now make it possible for many rheumatoid arthritis (RA) patients to receive medical treatments which allow them to continue living a high quality of life. A variety of RA medications specifically help patients reduce inflammatory symptoms and alleviate chronic pain. RA has no cure; however, there are some highly effective treatment methods available. These treatment methods help to achieve several key goals for RA patients by attacking the inflammation in different ways. RA medications have greatly evolved over time as a result of the ongoing need for treating these patients and their varying symptoms. Some of these drug types can be used in conjunction with each other, while others are only pursued when certain RA medications fail to work. NSAIDs are used to ease the swelling symptoms RA patients feel. If swelling is reduced, it ultimately alleviates pain as well. This is crucial for allowing patients to maintain their quality of life. 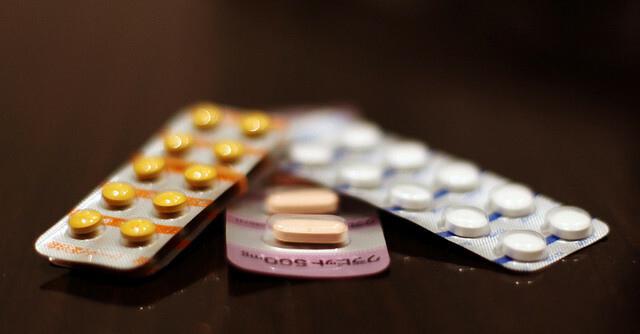 The two most common types of NSAIDs are ibuprofen and naproxen, which are well-known and commonly available by the brand names of Advil and Aleve, respectively. There are some additional NSAIDs that are available over-the-counter or through a doctor’s prescription. Some patients may respond differently to these types of medications and can potentially experience side effects in their liver and stomach. Many patients respond well to taking NSAIDs, though they are a short term solution and aren’t meant to control disease course. DMARDs modify the course of RA by interrupting the immune attacks that cause the inflammation in the joint tissue. Most frequently, DMARDs work effectively on patients if taken during the first few months of diagnosis. Some patients may find that DMARDs take up to six months to start working. One of the most commonly known DMARDs is methotrexate. There are others commonly used like leflunomide, hydroxychloroquine, and sulfasalazine, which are often prescribed to RA patients. Patients taking DMARDs may be more susceptible to infections as these drugs can weaken their immune systems. RA patients taking DMARDs must be alert to signs of infection and maintain healthy habits as preventive measures. Biologics, or biological response modifiers, are a type of DMARD. Biologics alleviate RA symptoms by targeting the part of the immune system that attacks joint tissue and causes inflammation. Biologics are also found to work effectively on moderate to severe cases of RA. Even when other treatments have not shown to work, often times biologics prove to be effective for many patients. Biologics can be taken in conjunction with other DMARDs like methotrexate. Biologics may be more fast-acting than traditional DMARDs as well. However, like DMARDs, biologics can also weaken patients’ immune systems and leave them susceptible to infections. This form of medication is only taken by injection, unlike the others which are typically oral medications. Some of the most common brand names of RA biologics include Humira, Amjevita, Rituxan, Orencia, and many more. Biologics are a newer form of RA medication and so the long-term side effects, if any, are unknown at the present. However, patients have reported that biologics can cause pain and rashes at the injection site, which may be due to an allergic reaction. The newest form of DMARD is the immune inhibitor known as JAK inhibitors. These medications block the Janus kinase (JAK) pathways, which cause immune responses that trigger the joint inflammation. JAK inhibitors are effective at alleviating symptoms in moderate to severe cases of RA. JAK inhibitors are also taken in cases where the patient can’t tolerate traditional DMARDs. The brand name for the new JAK inhibitors is Tofacitinib, which is an oral medication taken twice daily. JAK inhibitors, like traditional DMARDs and biologics, can leave the patient more susceptible to infection. Because it is a newer drug recently approved by the FDA in 2012, JAK inhibitor medications require ongoing studies. Experts will continue to evaluate its safety, side effects, and overall long-term effectiveness in controlling RA symptoms. In some cases, doctors may recommend steroidal medications as they are fast-acting anti-inflammatory treatments. These medications are used to control inflammation while patients wait for NSAIDs and DMARDs to take effect. They are, however, extremely potent and only used as short-term treatments for managing symptoms and controlling pain due to their side effect profile. Doctors use a corticosteroid like prednisone typically in low doses. RA medications, combined with other treatment methods, can allow many patients to restore their quality of living and go on to live without chronic pain. The ideal outcome with RA medications is that the patient achieves remission and no longer experiences symptoms caused by inflammation. If patients can reduce the frequency of flare-ups and increase their periods of remission, then the treatment is considered effective in managing the disease progression.